What is the current structure of international relations, and how does this shape the politics of the Middle East? For decades, the answer was clear: international structure was unipolar, and American predominance shaped the alliance choices of both its allies and its adversaries. In recent years, this clarity has been overtaken by confusion. American primacy has perhaps declined, or at least shifted in its application, but no rival power has yet risen to take its place. How has this perceived change in global structure affected regional politics in the Middle East? 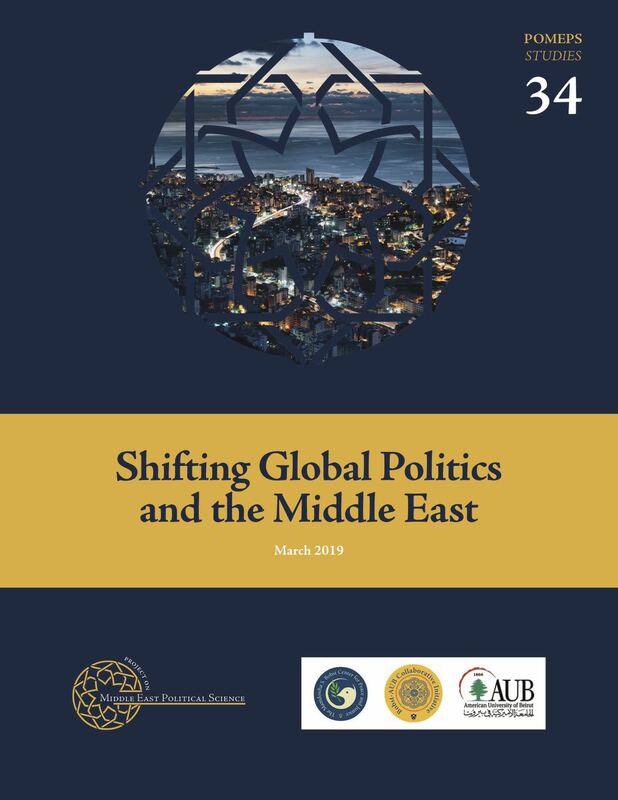 In October 2018, POMEPS, Princeton University’s Bobst Center, and the American University of Beirut brought together nearly two dozen scholars from the United States, Europe and the Middle East at AUB to discuss the impact of shifting global structure on regional dynamics. This collection features sixteen essays ranging across diverse perspectives on the evolving relationship between the global and the regional. Taken together, they offer a fascinating window into the relationship between the global and the regional, and the implications for contemporary regional politics.